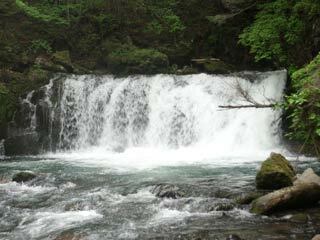 Bandokoro Small Falls (番所小滝) is 3m tall waterfalls located in Mt. Norikura. It is small but 10m wide waterfalls. Compare to Bandokoro Great Falls, this falls is very small. 1. use Norikurasancho Shuttle bus to Bandokoro otaki.